Inshore areas of southern Queensland account for approximately half of the commercial catch in Australia. Other important commercial catch areas are the New South Wales coast, Spencer Gulf in South Australia, Cockburn Sound near Fremantle and the Swan-Avon River near Perth in Western Australia. 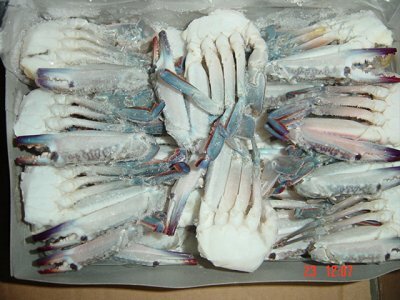 Blue Swimmer Crabs form a significant part of the bycatch of many prawn trawlers. Most of the catch is marketed in Australia, although there is a small export market. There has been successful attempts at culturing Blue Swimmer Crabs in Australia. The species is cultured in Japan and other Asian countries. The main apparatus used by commercial fishers to catch mud crabs and blue swimmer crabs are wire-mesh crab pots and trawl-mesh (nylon) crab pots. The pots are set on the bottom, generally in estuarine or near-shore areas for mud crabs and near-shore and offshore areas for blue swimmer crabs. Fishers operating in offshore waters usually set their gear in trotlines of about 10 pots per line. The trotline consists of pots attached to each other with a buoy set at one end of the line and a flagged buoy set at the other end. The fisher usually checks them daily or on each rising tide, hauling them by hand-hydraulic winch, removing the catch, and then rebaiting and resetting them. Commercial fishers mainly use baited collapsible pots. 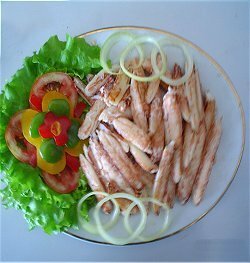 Blue swimmers are also taken by prawn and scallop trawling. About 80% of the blue swimmer crab harvest, which has averaged approximately 630 tonnes annually over the past 5 years, is taken between November and May in water deeper than 3 metres, mainly in Moreton Bay and Hervey Bay. 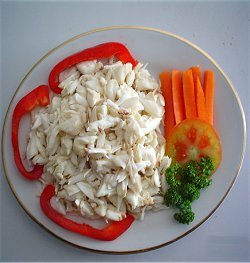 Crabs are also harvested in nearby offshore waters in depths up to 60 metres. Most blue swimmers are sold within southern Queensland, but some are sold interstate. There is virtually no overseas export. 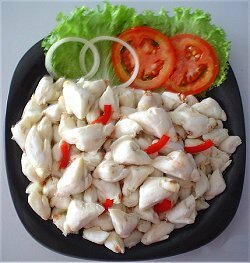 The main product form is fresh-chilled, with a portion of the catch sold as crab meat and processed derivatives. Taste, Texture Delicate, fishy taste. Fine texture. Western Australia's annual blue swimmer crab commercial catch usually exceeds 1,000 tonnes – making up more than half Australia’s total catch of this species. The remainder are caught in South Australia, southern Queensland and New South Wales. Blue swimmer crabs are fished commercially in bays and estuaries along the WA coast, with the major fisheries including Shark Bay and Nickol Bay in the Pilbara. Hundreds of tonnes of blue swimmer crabs are also caught each year by WA recreational fishers, with popular areas including Geographe Bay near Busselton, Leschenault Inlet near Bunbury, the Peel-Harvey Estuary, the Swan River, Shark Bay and Nickol Bay. Concern about the state of stocks led to a complete closure of Cockburn Sound and a seasonal closure of the Peel- Harvey Estuary in December 2006 to both commercial and recreational blue swimmer crab fisheries. Improvement in the stocks in Cockburn Sound over the three years after the closure resulted in a partial (seasonal) re-opening to crabbing in December 2009. Blue swimmer crabs are caught in crab pots, hoop nets and mesh nets in the Estuary General Fishery and are also caught as an incidental catch in the Estuary Prawn Trawl and Ocean Trawl Fisheries in New South Wales. Frozen meat is imported into Australia from Japan and Vietnam and whole from New Zealand. ‘Blue Crab’ imported from USA is a different species (Callinectes sapidus). Available wild-caught (though there are some aquaculture trials for soft-shell Crabs in Queensland), it is a coastal marine dweller found mainly in bays, estuaries and intertidal areas up to about 60m, most commonly on muddy or sandy bottoms but also on rubble, seagrass and seaweed. Found around most of the Australian coast, 50% of the commercial catch is from southern Queensland with the remainder mostly from central NSW, SA and WA north to Shark Bay. Caught in traps, dillies and entangling devices, and as a bycatch of trawling.